Tramadol hydrochloride is used worldwide as an analgesic drug with a unique dual function. The metabolic enzymes cytochrome P450 (CYP) 3A4, CYP2B6, and CYP2D6 and the various transporters [adenosine triphosphate-binding cassette B1/multidrug resistance 1/P-glycoprotein, organic cation transporter 1, serotonin transporter (SERT), norepinephrine transporter (NET)] and receptor genes (opioid receptor μ 1 gene) give possible genetic differences that might affect the pharmacokinetics and/or pharmacodynamics of tramadol. Therefore, the aim of this review is to present a systematic walkthrough of all possible genetic factors involved in the pharmacology of tramadol. A systematic literature search was conducted in PubMed and EMBASE involving all metabolic enzymes, drug transporters and receptors, as well as SERT and NET that are involved in the pharmacokinetics and pharmacodynamics of tramadol. 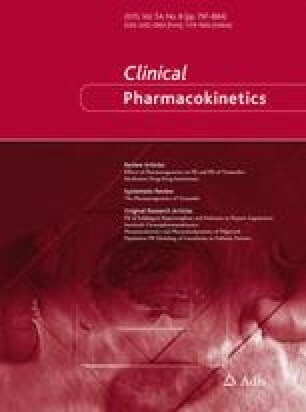 An additional search on population pharmacokinetics with genetic factors as covariates was performed separately. A total of 56 studies (45 cohort and case-control studies, three case reports, six in vitro studies, and two animal studies) were included. In this systematic review, the current knowledge on all possible genetic factors that might influence the metabolism or clinical efficacy of tramadol has been collected and summarized. Only the effect of CYP2D6 polymorphisms on the metabolism of tramadol and the consequent effect on pain relief has been thoroughly studied and sufficiently established as clinically relevant. We thank the research librarian Johan Wallin for his support and advice in the literature research. DL, PD and KB report no conflict of interest. No sources of funding were used in the preparation of this review. Danish Health and Medicines Authority. Summary of product characteristics: tramadol. Danish Health and Medicines Authority. 2015. http://www.produktresume.dk/docushare/dsweb/View/Collection-116. CYP2D6. In: PharmGKB. http://www.pharmgkb.org/gene/PA128. Accessed 17 Feb 2015. Human cytochrome P450 (CYP) Allele Nomenclature Committee. http://www.cypalleles.ki.se/. Accessed 19 Jan 2015.